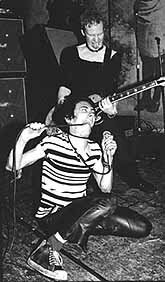 Photo gallery of the 1970s band The Dead Boys. 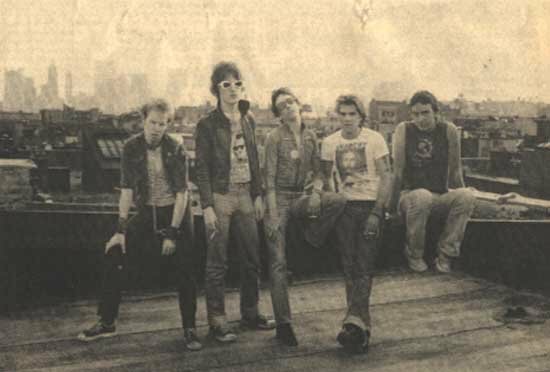 1 The Dead Boys The Dead Boys on a rooftop. 2 The Dead Boys Jimmy Zero performing. 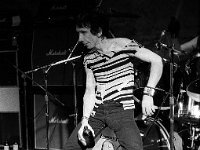 3 The Dead Boys Stiv Bators singing. 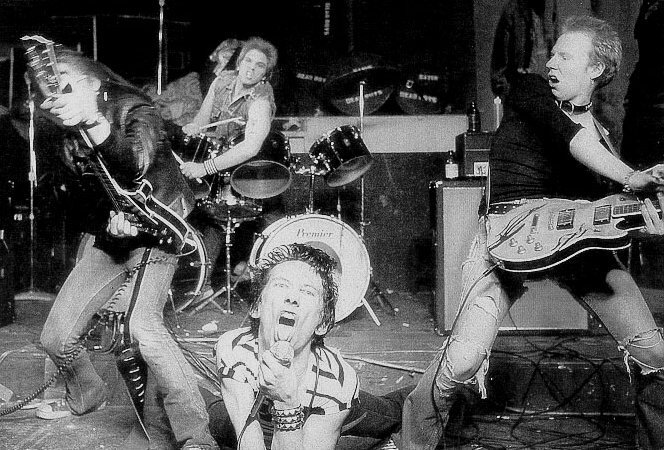 4 The Dead Boys Stiv Bators rocking out. 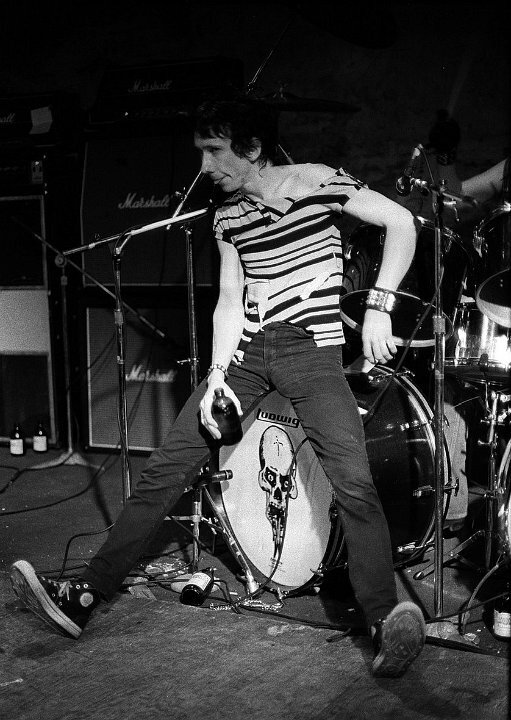 5 The Dead Boys Stiv Bators singing. 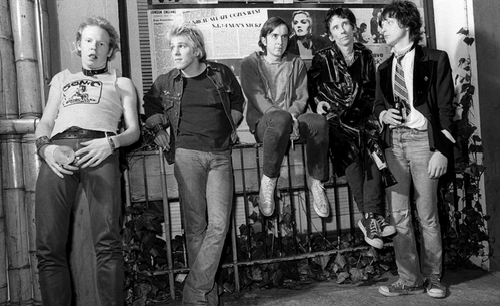 6 The Dead Boys Stiv Bators relaxing. 7 The Dead Boys Stiv Bators, Jeff Mangum and Jimmy Zero on a metal fence with other band members. 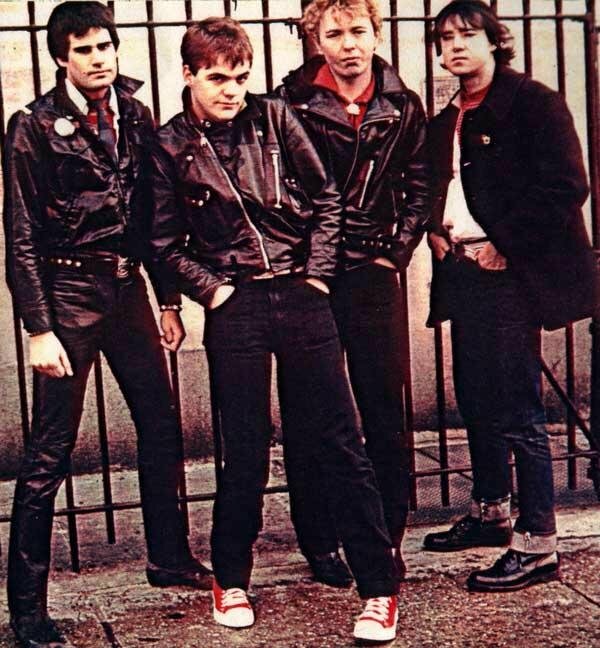 8 The Dead Boys Jimmy Zero sporting red chucks. 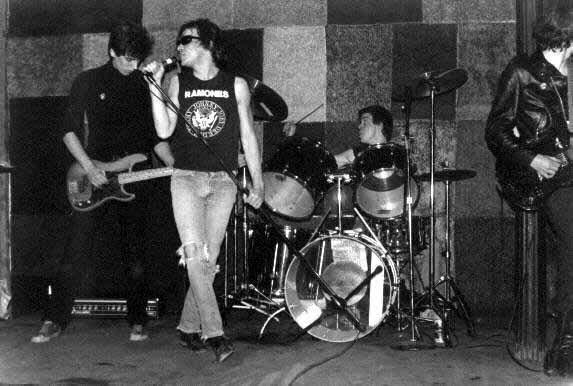 9 The Dead Boys The band on stage. 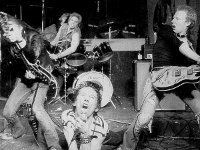 The Dead Boys were an American punk rock band from Cleveland, Ohio. 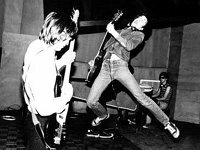 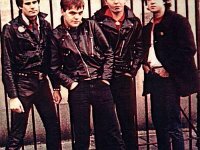 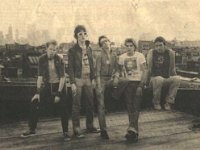 Among the first wave of early punk bands, and known as one of the most rowdy and violent punk groups of the era. 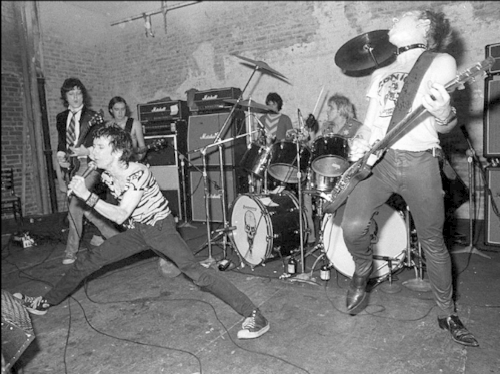 The Dead Boys were initially active from 1976 to 1979, briefly reuniting in 1986, and then later again in 2004 and 2005 without their iconic frontman Stiv Bators.